Our team of highly trained and certified Disaster Clean Up Specialists provide effective emergency response for your home or business! Steam Master Upstate Carpet & Upholstery provides services to companies in the housing industry in the Upstate, Oconee, Pickens and Anderson County. Mortgage Companies, Banks, Insurance Companies, Real Estate Companies, Management Companies, Private Owners, HUD, VA and Construction Companies. 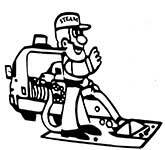 Steam Master specializes in an array of property preservation and trash out services. Our team can quickly clean and ready any private rental or foreclosed property for timely market reintroduction. We offer 24 hour, 7 day a week service in an effort to accommodate the needs of our clients. After tenants vacate property. If belongings are left behind, we can box them up and put items into a storage facility. 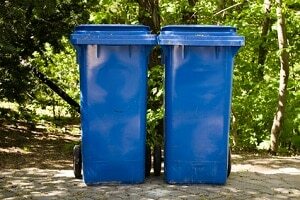 Or we can do a Trash Out and Clean Up – making minor repairs, touching up paint, and re-key locks. At Steam Master we can assist homeowners, that purchased ‘as is’ properties with general Junk Hauling, or if you are looking to put your house on the market, and you have junk to haul off; we can go in and clean out your house and garage. We can deep clean interior of home; bathrooms, light fixtures, windows, shelving, cupboards, oven, fridge and floors. Tear out old carpet or cabinets and haul off trash. Home claims can often mean considerable damage to your property. And after water, smoke or fire damage, unseen contamination may continue to harm your property and possibly your health. In these situations, a wet-dry vac and a sponge may not be enough. Sometimes, it’s important to have your home professionally cleaned to remove these risks.